Yellow Pages delivers business information listings about Golf Practice Ranges from coast to Canadian coast. 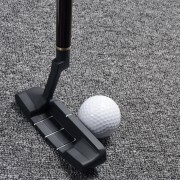 Find the best Golf Practice Ranges around you with YellowPages.ca’s extensive business listings. With YellowPages.ca you can be certain you’ll find exactly what you’re looking for quickly and easily.